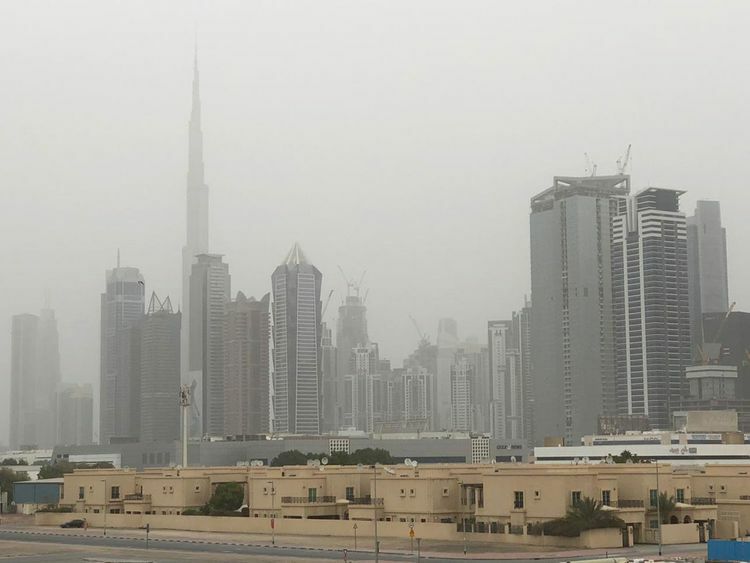 Dubai: Drizzle fell across pockets of the UAE on Wednesday morning as scattered showers are likely to continue throughout the day. The National Centre of Meteorology (NCM) cautioned motorists of strong winds and dusty conditions, which reduced visibility on the roads down to 2,000 metres. Dr Ahmad Habib, weather forecaster at NCM, told Gulf News that such dusty and unstable weather is not uncommon during the months of spring. “Dusty and rainy weather during March and April is normal due to the unstable atmospheric pressure. Some years, it was extended to April and May, leaving residents to bear days of stable conditions followed by unstable ones,” he said. The short bouts of rain, as well as the heavy downpours experienced last week in the cities of Abu Dhabi and Dubai, were also enhanced by cloud-seeding operations. Dr Habib explained that a total of 76 cloud-seeding operations were carried out since the start of 2019, and pointed out that 42 took place during March. From April 1 to 3, three cloud-seeding operations have also taken place, leading to as increase of 10-15 per cent rainfall. Areas near Dubai International Airport also witnessed light showers, with scattered rain further expected in the Western region and along the coast. The unstable weather affected the nation since Tuesday night, with thunderstorms and heavy rainfall that lashed a number of towns in Abu Dhabi’s Al Dhafra region and Jazeera Dalma. The dusty conditions will continue until Saturday, according to the NCM, accompanied with strong winds of speeds of up to 45 km/h. The NCM said that the country is currently under “a trough of low pressure over central parts of the Arabian Peninsula and Western UAE, accompanied with a weak trough of low pressure at upper air levels”. Humidity levels will reach up to 60-85 per cent in coastal and internal areas, while maximum temperatures are expected to reach 28-32 °C, 33-37 °C and 21-25 °C in the coastal areas, internal areas and the mountain region respectively.